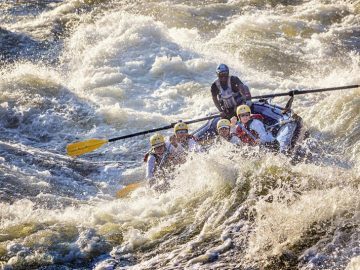 The American West is blessed with some of the most iconic stretches of whitewater found anywhere in the world. 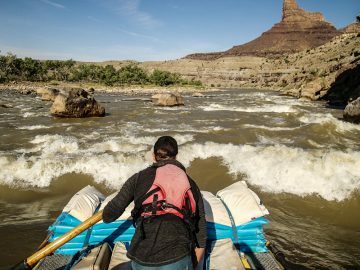 You could fill a lifetime with crimson sunsets on the Colorado, rowdy rapids on the Snake, or black bear sightings along the Rogue without realizing that none of these rivers are technically wild. They all have dams upriver that regulate their flow, trap sediment and debris, and block the passage of anadromous fish. Dammed rivers are the norm across the West, while wild, free-flowing rivers are one of the region’s rarest commodities. Here’s a rundown of the best dam-free stretches of river in the West. 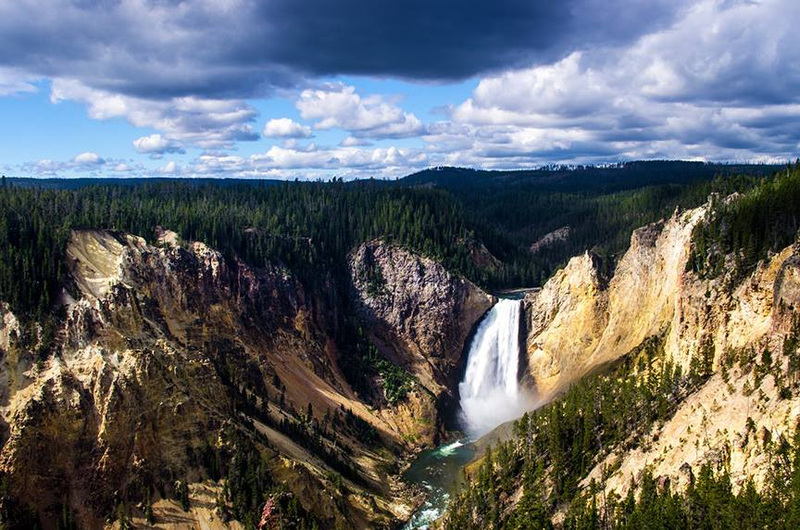 At 692-miles-long, the Yellowstone River in Montana is the longest free-flowing river in the contiguous U.S. Starting high in the mountains of Yellowstone National Park, the river flows uninterrupted until it meets up with the Missouri near Williston, North Dakota. 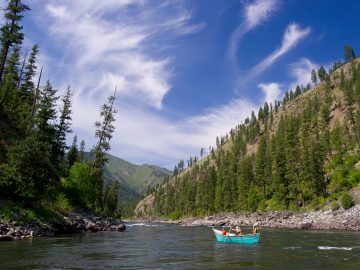 Along the way the river yields ample whitewater rafting opportunities, as well as some of the best trout fishing in the world, especially near Livingston Montana, in the aptly named Paradise Valley. It also maintains some fantastic scenery that will leave you daydreaming about the Lewis and Clark Expedition, and what they must have seen traveling this river in 1804. The John Day River originates in the Blue Mountains of Central Oregon and then zigzags through arid canyons for 284 miles before reaching the Columbia River. The river is named after a hunter and trapper on the Astor Expedition who got lost and wandered throughout the watershed in 1811. The rural region still looks similar to what John Day experienced, and with no dams along the river’s course, the seasonal fluctuations vary widely. The most reliable time to hit the John Day is when the river is chugging along at 3,000 cfs in early spring. From Service Creek to the Columbia, you can combine two stretches together for over 100 miles of undammed, back canyon bliss. 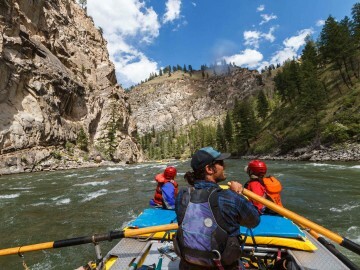 The Salmon River in Idaho is a wilderness classic. Three different forks—the Middle, Main, and South Fork—flow dam-free for over 425 miles. They carve through the Frank Church “River of No Return” Wilderness, which is one of the largest wilderness areas in the Lower 48. It’s a game of choose your own adventure on these rivers. The Middle Fork punches through the mountains with non-stop whitewater. The Main delivers plenty of rapids, but also offers hot springs and some mighty fine trout fishing. 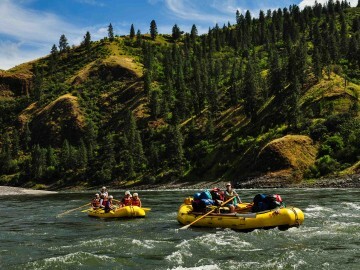 While on the Lower Salmon, you’ll float through arid gorges and camp on sprawling river beaches. 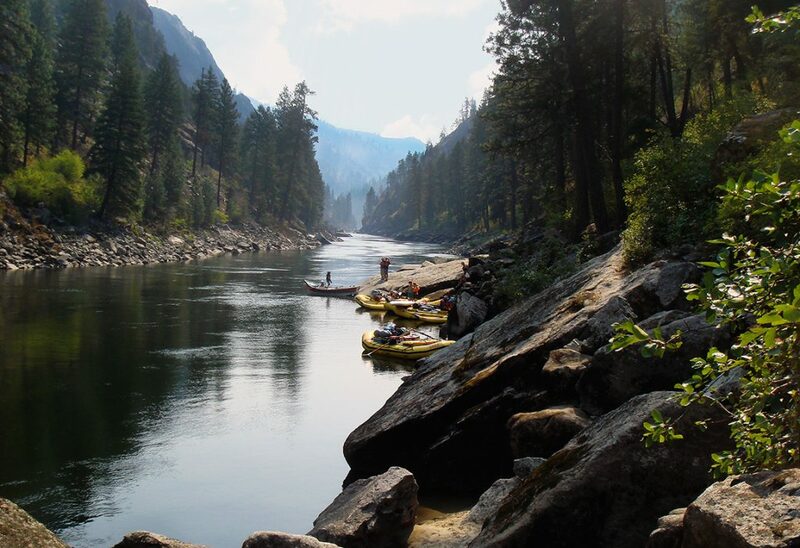 No matter which fork you choose, the Salmon River is certainly one of the greatest free-flowing rivers in the world. Everything’s bigger in Alaska and the Yukon River is no different. At 1,980-miles-long, it is more than double the length of the Yellowstone, and it too flows freely along its entire course. The fabled river’s headwaters are in British Columbia, but it flows northward through the Yukon, before turning West and flowing across Alaska’s width, essentially bisecting “The Last Frontier” in half. With such a long, remote river, your main goal in finding a section to float is only constrained by your available time and road access. Try the 258-mile stretch between Eagle and Circle, Alaska. 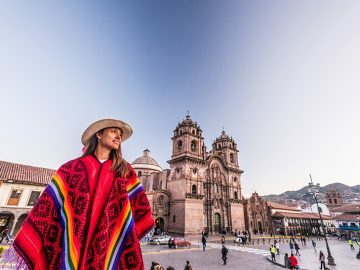 The wide, muscular river carves through bluffs, passes remote fishing villages, and flows through a national preserve. 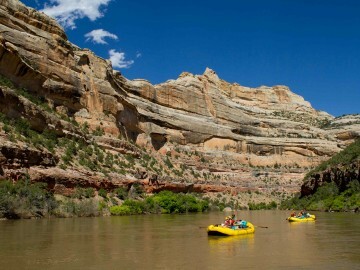 The Yampa River is unique in the Colorado River watershed. It is the only free-flowing tributary within the entire river system. All the other rivers in the region are dammed, but young activists blocked a proposed dam at Echo Park in the 1950s. 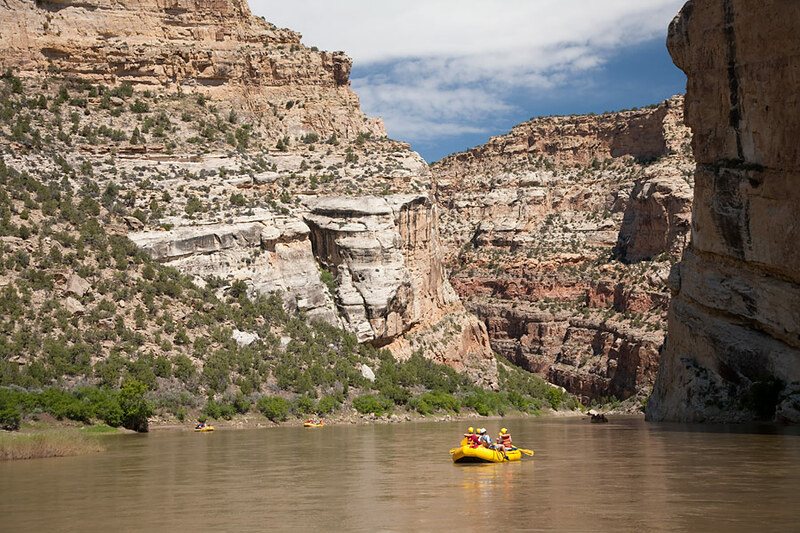 What they saved is a 250-mile long river that springs to life after the snowmelt, and carries boaters through some of the most remarkable sandstone canyons in the country. It seems like there is always a plan in the works to dam or tamper with the wild nature of the Yampa, but fortunately for us all, the river remains wild and free.